Jadee Garcia, of Winthrop, braves the woods of Harmony as her father and uncle pass down a family tradition. HARMONY — Eleven-year-old Jadee Garcia was just as tall Saturday as her .22-caliber Magnum rifle was long. 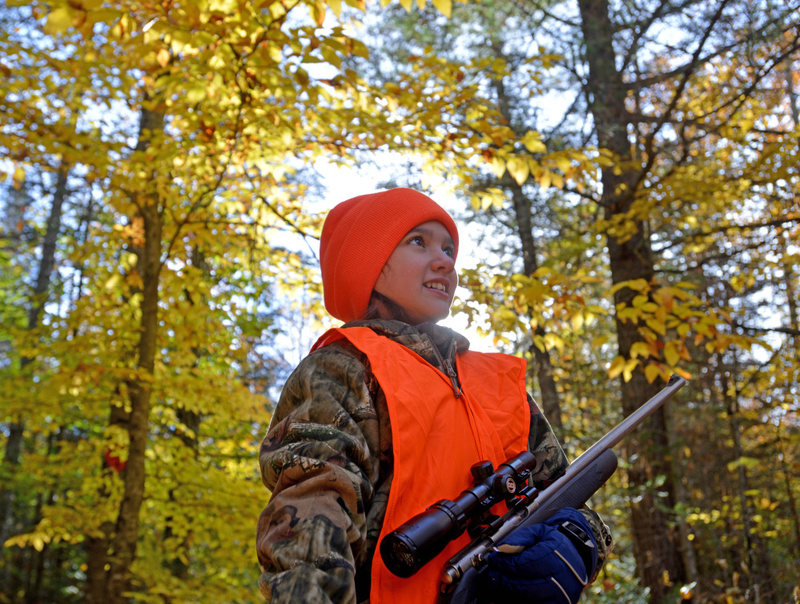 Saturday was Youth Deer Hunting Day in Maine, and for Garcia, of Winthrop, it was her first hunting experience and her first autumn in Maine since she and her family moved from Florida. By late morning, Jadee had not bagged a deer, but that wasn’t stopping her from taking in the glow of dawn, the smell of the crusty leaves beneath her feet and all the wonders of the Maine woods. Jadee and her father, 34, said they arrived at Kelly’s deer blind and settled in quietly, while Kelly walked back to the house, hoping to fool the deer into thinking they had all left. As the silence took over and the sun rose, they heard the sounds of the woods waking up — red squirrels chattering about their arrival. 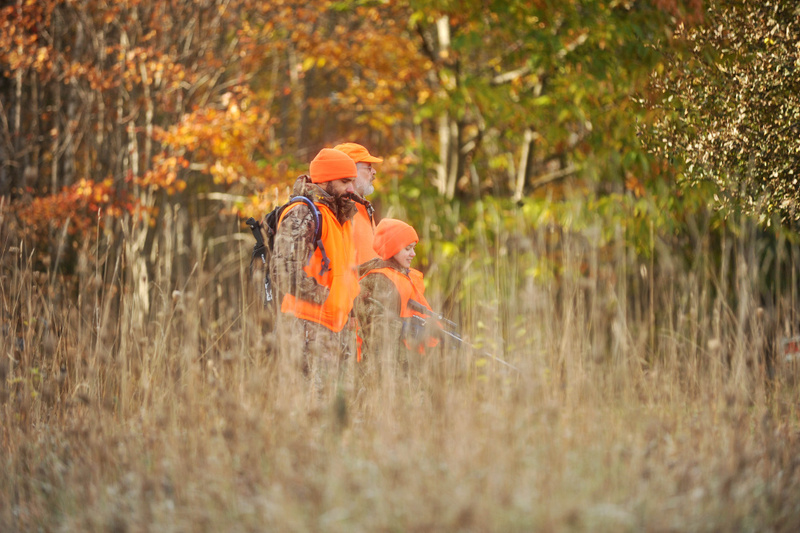 Youth hunters who possess a junior hunting license and are 10 to 15 years old — resident or nonresident — were allowed to hunt deer Saturday under the direct supervision of a parent, a guardian or a qualified adult. The accompanying adult could not possess a firearm. 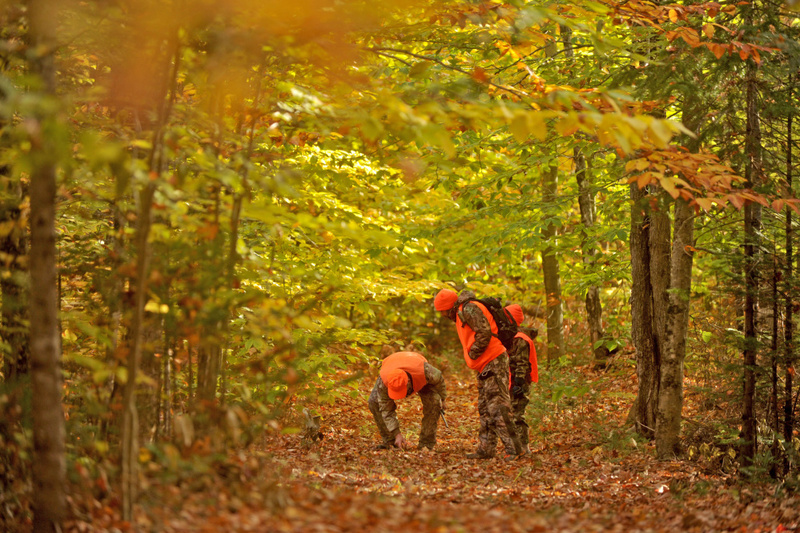 All laws pertaining to hunting during the open firearms season on deer apply on the youth deer day. 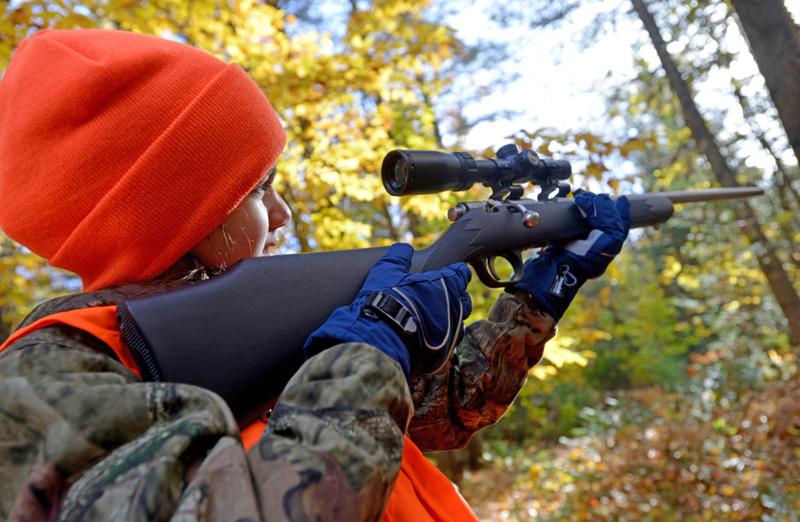 Deer hunting season begins Saturday for Maine residents and on the following Monday, Nov. 2, for all others. Jadee said one of the first things she learned about deer hunting was not to make noise. Kelly, 64, said Jadee and Ronald made sure they were aware of hunting laws and safety measures before venturing out. 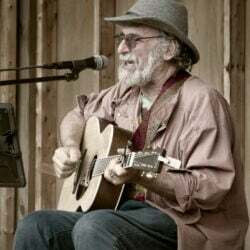 “They’ve been going over gun safety and a hunter safety course, target shooting and talking about it a lot,” he said. Kelly, an Army veteran of the Vietnam War, said the first rule of hunting is knowing where to point the muzzle. Jadee was dressed in the mandatory two pieces of orange clothing Saturday — a woolly hat and a large vest, safety pinned close to her chest. The .22-caliber magnum rifle had a scope mounted to it and Jadee peered through the cross hairs, imagining a white tail coming into view. Kelly, who has hunted the woods behind his apple orchard for almost 30 years, said the deer know when you’re there and are probably smarter than people when it comes to being in their woods. Jadee’s father said they masked their odor with a “cover scent” lotion and doe urine to attract the big bucks. On Saturday, children such as Jadee could shoot a buck or a doe, but for the rest of the hunting season, they would have to shoot a buck like anyone else without an “any deer” permit. By late morning at the tagging station at Jim’s Variety store in Athens, three boys ages 12, 13 and 15 had tagged deer Saturday. Asked what she would do with a deer if she was able to shoot one, Jadee’s answer came without hesitation.